I hope you are having lovely summer! 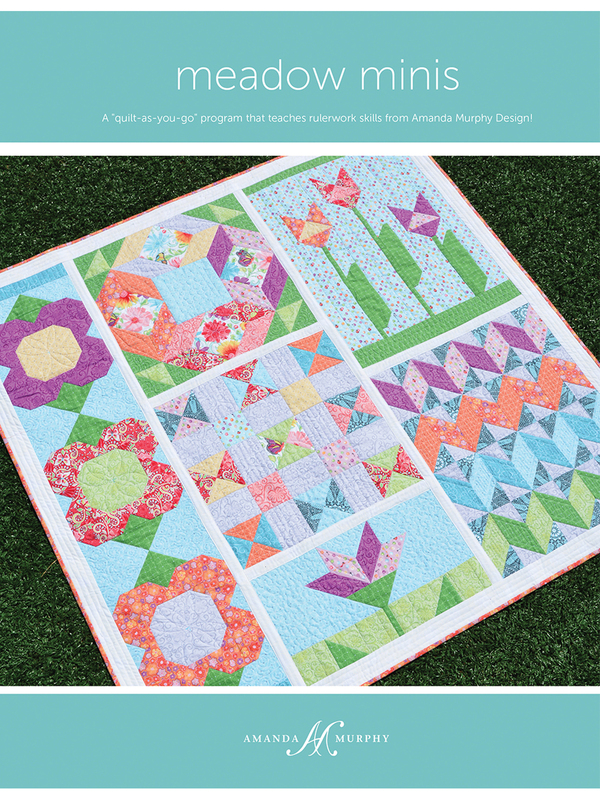 My name is Amanda Murphy and I’m a Quilting and Longarm Spokesperson for BERNINA. Special thanks to the WeAllSew team for inviting me to share some tips for easy sashing designs with you all today! The first is a simple back and forth pattern. 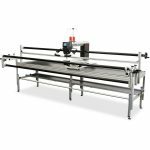 Many quilters feel comfortable with this design because it is similar to the way we usually move fabric under our machine. 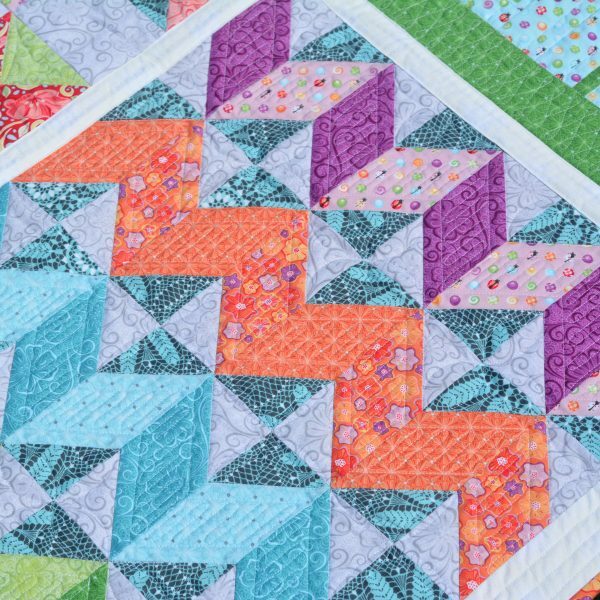 The thing to really watch here is that I am aiming to come close, but not touch, the top and bottom of the sashing with my quilting. This will give a cleaner finish because, if you are a little off, no one will be the wiser. To do this, watch that the foot, rather than your needle, touches the bottom and top of the sashing. You can also line up the edge of your foot on your previous quilting to ensure uniform spacing. Try quilting this motif both side to side and up and down and see what you like best. I also love to put loops in sashing. They work up quickly and look great with many other designs. I usually put loops elsewhere in the quilt to help tie everything together visually. 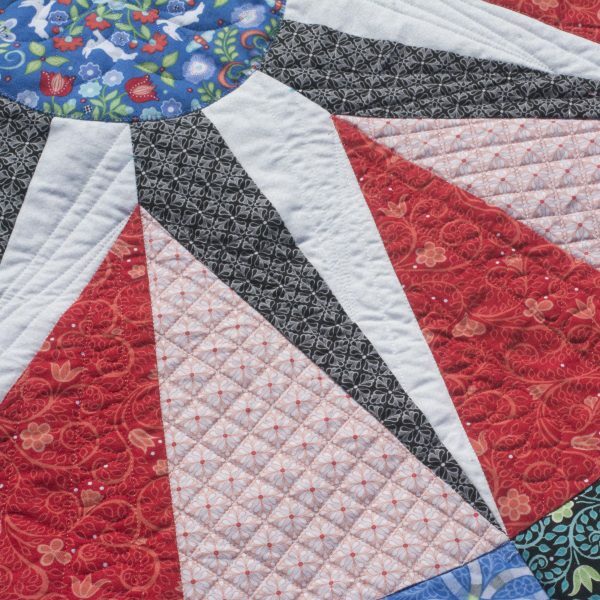 You can quilt them narrow or wide, slanted or upright. A lot of times their shape reflects your handwriting, so go with what works for you. Here I am putting in a large loop, like a lowercase “l” and a small loop like a lowercase “e”. Note that I am again aiming for my foot, rather than my needle, to touch the bottom and top of the sashing area. The third pattern I’d like to show is a fish bone. I love this design. It is really a variation on loops, but with fish bones you make loops on both the top and the bottom as you travel across the sashing. These fillers works well in almost any shape—not just sashing. Here, I am stitching it both wide (for a quick finish) and narrow (for a more dense fill) and both work equally well. The last design I’d like to show today is ribbon candy. It takes a little more practice than some of the other designs but it is a workhorse! I’m thinking about two things here. First, I try to envision stitching around a circle at both the top and the bottom of the design. It helps me to maintain consistency by envisioning a coin of the appropriate size, maybe a dime or a nickel depending on the area I’m trying to fill. Remember, this design, like all the others, can be quilted both wide and narrow! The second thing I concentrate on is traveling out of one curve straight down into my next motif. Again, letting the edge of my foot hit my previous stitching each time to keep my spacing consistent. 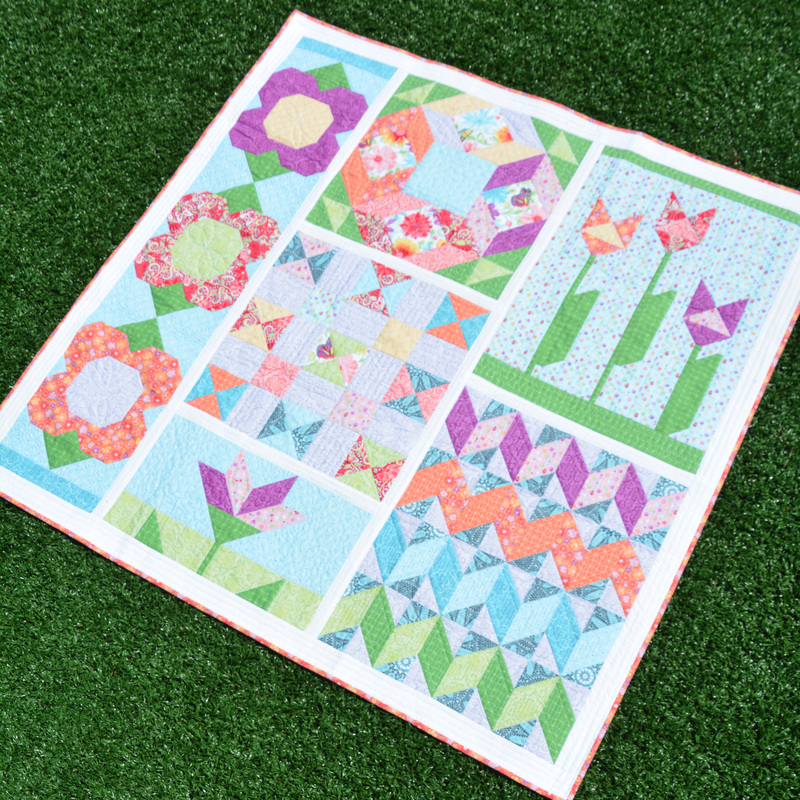 I used some of these designs along with simple ruler work in my new Rulerwork “quilt-as-you-go” Block-of-the-Month program featuring my Meadow Dance line for Contempo for the fall called Meadow Minis. The pattern will be shipping later this month and I’m pretty excited to show you guys what ruler work and free-motion can do when they are put together. For more tips, join me in my Facebook Group and keep reading WeAllSew! 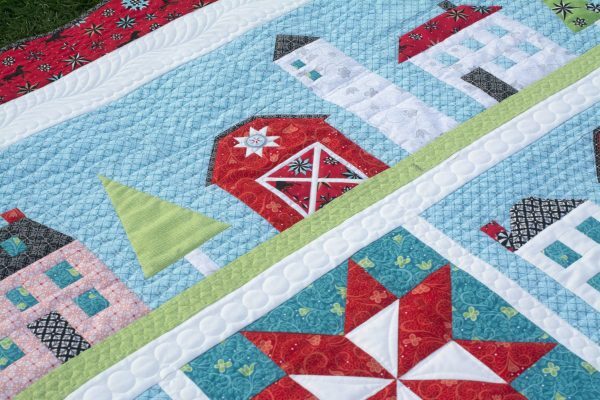 Can you tell me what pattern you used for the one with houses? Also the one with radiating corner?